Botswana doesn’t see as many tourists as many other countries in Southern and East Africa, but this in no way diminishes the quality of the game viewing and safari experience Botswana has to offer – in fact in many ways it’s a bonus. Botswana is a large, wild country (approximately the size of France) with a decent – but very limited – road network where only the major roads are tarmacced. This makes Botswana a safari destination for the intrepid – if you’re planning on doing an independent safari in Botswana a high-clearance 4WD vehicle and spirit of self-reliance are essential to get the most out of your visits to the national parks. Geographically Botswana is covered in scrub bush and savannah grasslands, with the occasional impressive geographic feature such as the Okavango Delta and huge salt pans. The country is landlocked and lies at a fairly consistent average elevation of 1,000m. The windswept and sand-based Kalahri covers over 80% of the country in the south, west and centre of the country. To the north lies 15,000 km sq of the Okavango Delta, fed by the Okavango river and forming the northern border with Namibia. To the east lie the great salt and clay desert of the Makgadikadi Pans and occasional deciduous forests towards the Zimbabwean frontier. Botswana is an inhospitable country for humans once you get into the wilderness, but a country which manages to support an incredible diversity and number wildlife..
As the Okavango river and delta supply a year-round water supply to much of northern Botswana, they support a vast array of Southern African mammal species. These include the big five, wild dog, hippos, hyenas, honey badgers and a broad range of hoofed mammals. Each year Botswana is home to it’s own annual migration of wildebeest, zebra and other animals as they move from their winter ranges in the Makgadikgadi plains to the summer feeding grounds of the Nxai Pan region. Not as large in scale as the East African migration, but there are also far less tourists around to take away from the experience. This lack of tourists, the sheer scale of the wilderness and abundance of game in Botswana’s national parks come together to make Botswana a safari destination that’s hard to better, wherever in Africa you visit. Safaris don’t come much better or more luxurious than an all-inclusive deep in the Okavango Delata. Take a 4 seater plane trip over the wetlands, wildlife spotting as you’re flown to an exclusive, out-of-the-way lodge for a few days of game drives, safari walks and boat trips. Go big five spotting at Chobe – perhaps Botswana’s most famous national park. Boat safaris are a big draw here, with a waterfront teeming with wildlife. Head out into the wild bush lands of the Moremi Game Reserve, the only part of the Okavango Delta that’s an official game reserve. You’ll need a high-clearance 4WD vehicle and plenty of supplies if you plan to tackle Moremi independently. May to August is the best time to organize a safari in Botswana, as during this winter season the days are cool and sunny, and the lack of water drives the wildlife to congregation around permanent water sources. At this time getting around the country if fairly easy, with dust rather than water being the main obstacle. During winter months wildlife spotting is easy – all you have to do is find a river or watering hole and dig in to wait for the action. One thing to bear in mind is that July and August is school holiday time, meaning more tourists than usual, higher prices for safari accommodation and tours, and busier national parks. October to April is summer season in Botswana, but brings with it extreme heat and the rains – occasionally in extreme amounts. Getting around the country by road during summer can be disrupted by flooding, as many of the secondary roads are not tarmacced. Wildlife is also more dispersed and harder to spot, hidden by lush vegetation. An exception to this is in parts of the Okavango Delta where there’s so much flooding that many islands form, trapping wildlife which can be viewed from a boat – though vegetation still causes a problem. Though Botswana has a relatively low number of inbound tourists, a very high proportion of these come for the wildlife. 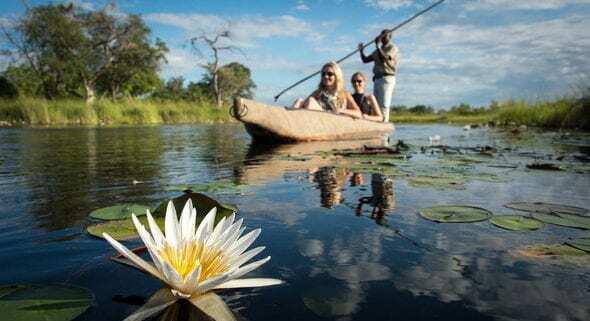 Around the capital Gabarone and also Maun – the de-facto capital of the Okavango Delta – there are numerous safari tour companies to suit all budgets. 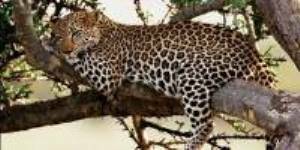 Check out our reviews of safari tour companies in Botswana. Botswana has a focus on low-impact, high-end safaris, and the accommodation on offer reflects this. Luxury safari lodges are the primary accommodation in Botswana, though there are also mid-range accommodation in the tourist enclaves of Maun and Gabarone. If you have your own tent most safari lodges have an area where you can pitch up for the night, along with decent washing and BBQ facilities as standard.